The Alameda County Law Library is supported by court fees and provides access to current legal information to the public, attorneys and residents. The library is in Oakland. Go to this site to find hours and directions to these libraries and connect to their catalog. To access Nolo Press legal self-help books from your home, go to the Law Library website http://acgov.org/law/refservices/legaldata.htm and then NOLO (EBSCO Legal Information Reference Center). The Alameda County Bar Association provides low cost services in the areas of Immigration deportation defense, vias and political asylum. Other services include bankruptcy, criminal defense, family law, wills and trusts and employment law. Well-organized and user-friendly site for do-it-yourself legal solutions including wills, divorce and rental issues. A list of internet resources for legal issues by subject area, with a separate listing of California resources. Contains links to international, federal and state law among other features. Recommended by law schools and attorneys. Comprehensive academic site including constitutions and codes, court opinions, and topic-based access to legal sources under "Law about…". Chat online and ask a law librarian your question. Information for the consumer, divided into eight sections: buying and selling, your finances, your home, your family, your job, the courts, criminal justice, and find a lawyer. Justice news courts- celebrity docket and law news from CNN.com . Find, read or download many government codes both Federal and California. Includes, but not limited to: 2007 California Code of Regulations; 2007 Administrative, Fire, Electrical, Plumbing, Building and Mechanical Codes; U.S. Government Manual; Copyrights. Free. The mission of the Alameda County Law Library is to provide all Alameda County residents access to current legal information. The law library presently operates in Oakland, but has lacked a physical presence in eastern Alameda County. Alameda County covers a geographically large area of almost 740 square miles. In recent decades, the suburban and rural communities of Pleasanton, Dublin and Livermore have witnessed significant growth. The combined population of these cities now exceeds 200,000. The region also has a large and active legal community that is dominated by solo and small firm attorneys. There are currently no law libraries or legal aid organizations operating in eastern Alameda County. To improve access to legal information in eastern Alameda County, the Alameda County Law Library recently partnered with the Alameda County Public Library to establish the Legal Resource Collection @ Dublin Public Library. The partnership is intended to support the needs of self-represented litigants, the public, and local attorneys, the collection features a large selection of California practice guides, formbooks, legal self-help books, and free legal database access. A strong selection of California practice guides, treatises, and formbooks published by Rutter Group, Thomson Reuters, Matthew Bender, and continuing Education of the Bar. Legal Self-help materials for the general public and self-represented litigants published by Nolo Press. The LSTA grant enabled the law library to purchase site licenses to several popular legal databases for the Dublin Public Library. There are 6 databases: Lexis-Nexis; OnLaw; fastcase; Hein Online; Nolo Law for All and the DissoMaster™ software for calculating child support. All databases are only accessible from the two Legal computer stations in the Group Study room, and over Dublin Library's wireless network. However, Lexis-Nexis is not available over the wireless network. 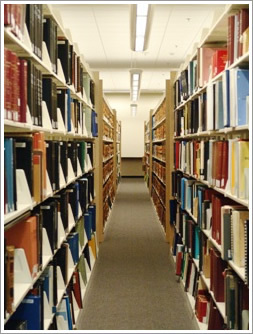 The Legal Resource Collection is available to Dublin Public Library visitors during the library’s normal business hours. For more information about the Legal Resource Collection @ Dublin Public Library, please visit our website at https://calcountylawlib.libguides.com/dpl. Library Services under the provisions of the Library Services and Technology Act, administered in California by the State Librarian. Compiled legal opinions from 402 legal jurisdictions. Search by case name, topic or citation. Provides a list of self-help centers for those representing themselves in court, a mini-class on doing legal research and a wide-ranging collection of legal links. Free database of state and federal case law, with links to additional resources. PLoL also includes free links to paid content on Fastcase. PLoL is one of the Web's largest free law libraries, but with additional links from Fastcase, it is one of the most comprehensive law libraries in the world. For more than a century Black's has been the gold standard for the language of law. Today it is the most widely cited law book in the world. Edited by Bryan A. Garner, the world's leading legal lexicographer, the 9th Edition is the most authoritative, comprehensive law dictionary ever published. It contains more than 45,000 terms and includes: 2,000 more terms than the 8th Edition and 19,000 more than the 7th Edition including click fraud, Code Adam, collaborative law, ecoterrorism, environmental tort, friendly subpoena, happy-slapping, honor crime, secret detention, Schumer box, and super precedent. The date when selected terms were first used in English-language contexts, especially in judicial opinions, Heightened accuracy, more than 200 lawyers around the country reviewed terms. Definitions of more than 1,000 law-related abbreviations and acronyms. Almost 3,000 quotations drawn from sources over five centuries. Alternate spellings or equivalent expressions for more than 5,300 terms and West Key Numbers. Everything you wanted to know about the law, but couldn't afford to ask. How do I get a collection agency to stop harassing me? If I work 50 hours a week, shouldn't I be getting overtime? My new car is a lemon -- what can I do? Like it or not, the law affects practically every aspect of our lives, and legal questions can come up daily. Nolo's Encyclopedia of Everyday Law has the answers you need to make sound decisions wherever the law touches your life. Written by Nolo's expert team of attorneys, the book provides concise, plain-English answers to hundreds of the most frequently asked legal questions about everday legal issues, including: - credit, debt, and bankruptcy - landlord-tenant law - wills, living trusts, and estate planning - workplace rights - social security - divorce, child custody, and visitation - adoption This edition is completely updated to reflect the latest changes in the law. Are you a California resident? Check out Nolo's Guide to California Law. A must-have for every household The American Bar Association Complete Home Legal Guide is the go-to legal reference for every home. This completely revised and updated edition now includes easy-to-digest, comprehensive legal information every household needs. In addition to tips on real estate, healthcare, home ownership, retirement and much more, there are new useful charts and graphs, insightful personal stories, and a new chapter on the growing specialty of ‘disabled’ or ‘special needs’ law that will be helpful to an even larger audience.